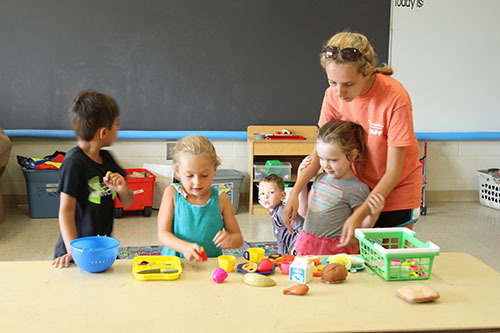 Scamper Camp is a fun and exciting program for children 3.5 – 5 years of age (Child must have turned 3 by 12/18/2018). Children will participate in various activities and fun field trips. 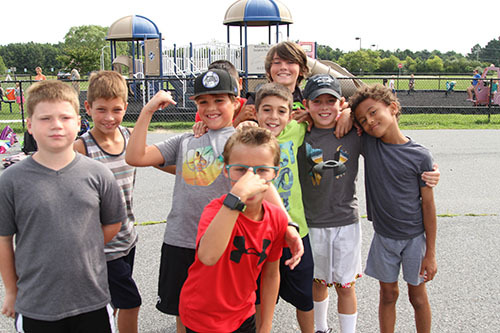 Camp is licensed by the State of Maryland Department of Health and Mental Hygiene and will be offered in seven 1-week Sections. TIMES: 9:00 a.m. – 1:00 p.m.
PRICE: OC Residents $65.00 per week/Non-Residents $88.00 per week A $20.00 non-refundable deposit is required for registration per Section. CAMPER NOTES: Camp is limited to 24 participants and children must be fully potty trained. REGISTRATION: Ocean City Residents must provide proof of residency with acceptable documents being an Ocean City Tax Bill or copy of Lease. Registration for Ocean City residents and property owners begins on February 1st. Non-Resident registration begins March 1st. Registration will be accepted on a first-come/ first served basis through mail or personal drop off. Camp Horizon is an exciting day camp program for children 5 to 12 years of age. Children will participate in weekly field trips, athletics, arts and crafts, special events and many other creative activities. This program is certified by the Department of Health and Mental Hygiene. Special registration requirements exist. *Prices are increased for additional field trips. Campers must have attended at least one week during Sections A – G to be eligible to register in Section H.
REGISTRATION: Ocean City residents must provide proof of residency with acceptable documents being an Ocean City Tax Bill or copy of a lease. Ocean City Resident and property owner registration begins on February 1st. Non-Resident registration begins March 1st. Registration will be accepted on a first-come/first served basis through mail or personal drop off. All forms must be fully completed in order to be processed and a $25.00 non-refundable deposit is required upon registration for each section. Additional before-session care from 8:00 a.m. – 8:45 a.m. for an additional $20 per week, and an additional after-care session from 4:00 p.m. – 4:45 p.m. for an additional $20 per week.